This 1024x1024 pixels image is the projected dark matter density field at redshift zero in log scale along the Z-axis for a 1024^3 dark matter only RAMSES simulation. Only a slice of 1/10th of the box depth is shown here. the first 10h-1Mpc slice through the box along z. A (spectacular) movie of the redshift evolution of slices is available here. Another lower resolution mp4 moviee is also available here (requires quicktime). 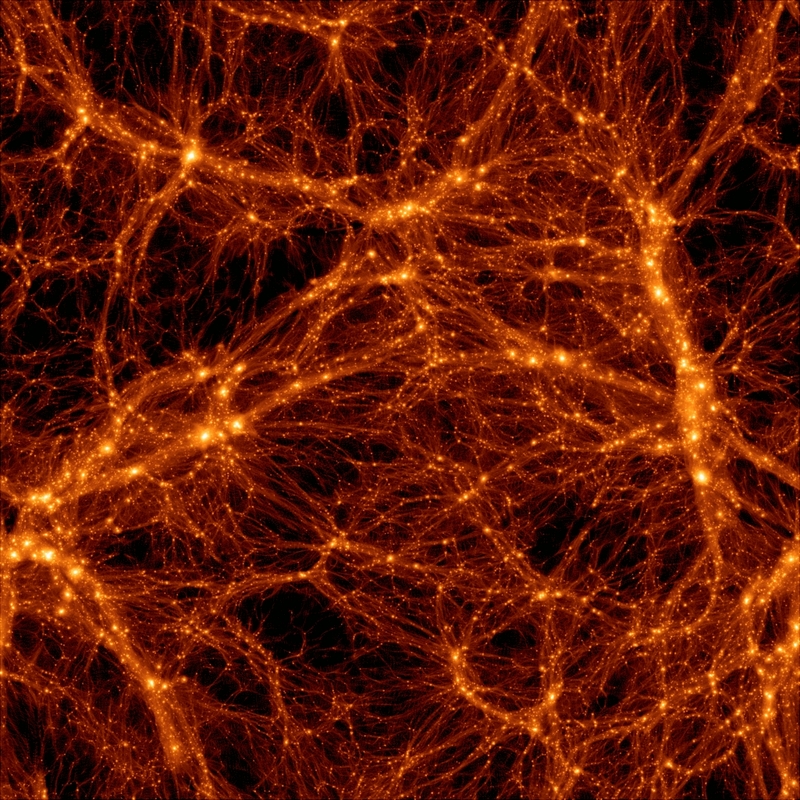 This 512x512 pixels image is the projected dark matter density field at redshift zero in log scale along the Z-axis for a 256^3 dark matter only RAMSES simulation. A shift of half a boxlen has been performed along the X-axis in order to center the image on the largest halo.